Hi, I’m Eunice, and I’m a creature of habit. Save for the times that I get distracted by nice and shiny things (hashtag sucker for packaging), once I find something that works through hell and high water and particularly with beauty products, I’m loyal AF. 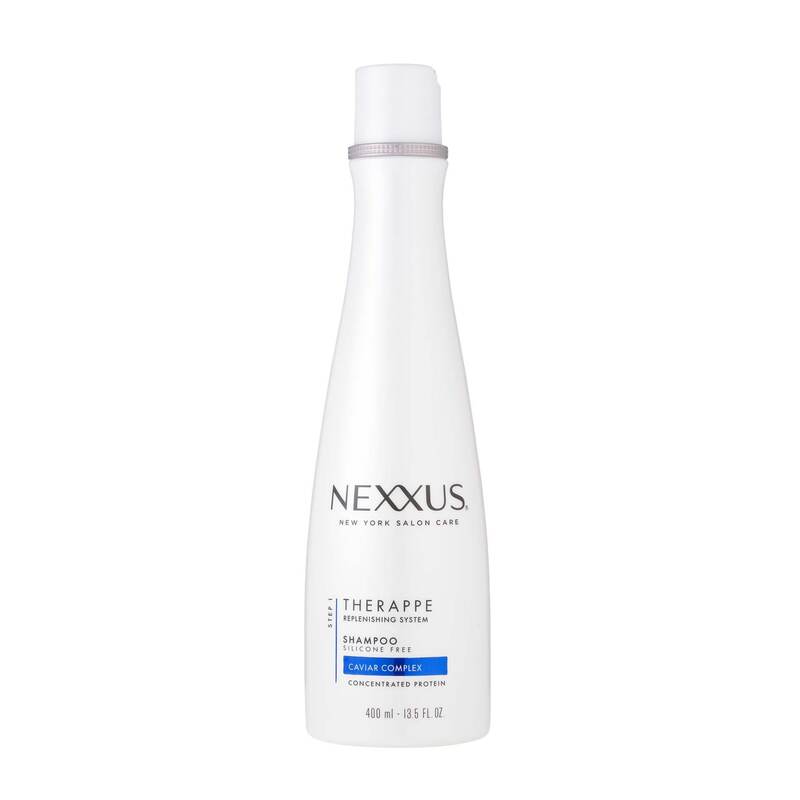 Which brings me to my perennial obsession, my strengthening shampoo and conditioner: Nexxus Therappe Shampoo and Conditioner. Now, in the realm of beauty, anything touted as “strengthening” doesn’t necessarily win Sexpot Product of the Year—that’s reserved for the volumizers, the plumpers, the lifters. Strengthening products, well, I used to consider them Old Reliables; not exactly your drunk-dial of choice for the shower, but hey, they’ll get the job done correctly. And something about Nexxus Therappe Shampoo and Humectress Conditioner just has me crawling back and swearing to never stray ever again. Let me preface the above with a quick story about how I’ve survived not one, but two apartment fires (pre-war NYC buildings, what can you do). Aside from the fact that I am apparently immortal and fire-proof and quite possibly part-dragon, what got me was how this shampoo and conditioner, apart from the hundreds and hundreds I’ve tried, has been the only pair that has held up consistently while I was schlepping through friend’s houses, begging for a shower while I had no hot water in my own apartment. It’s managed to deliver unwaveringly, regardless of context—which can definitely run the gamut and offer a wide variance of results, given my occupation and depending on circumstance. I’ve brought them to the gym, bypassing their so-called salon brands; I’ve used them on the road; I’ve decanted them in teeny-tiny, TSA-friendly travel bottles for long weekend trips. And with each and every shower, in all corners of the world, from the arid heat of the Vegas desert to the humid, hard-water showers in Southeast Asia, these guys have impressed me and left me with locks that aren’t just cleansed, but intelligently so. Bleached hair can be a crapshoot to wash, and this has left me with smooth, healthy-feeling strands each time. But with body. And no tangles. Amazing. You know those times when you first wash with a new shampoo, when everything feels glorious and you’re convinced you’ve found the Holy Grail, but then the itch to try something else hits, and so you do, but then you get disappointed a few washes later and realize you were a fool to cheat on your first choice? (I can’t be alone in this..?). Needless to say, this has been my most faithful shampoo and conditioner relationship since my no-tears toddler days, when I didn’t really have a choice. Think it’s an overreach? Try it. All I can say is, the best thing about this duo is also the worst thing about it: Nothing else comes close. Let’s hope Nexxus has it sticking around for a while, and if anyone else has my experience, I’m pretty sure it will! Everything You Need to Know About the Best Shampoo.